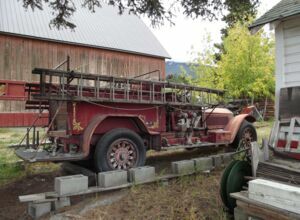 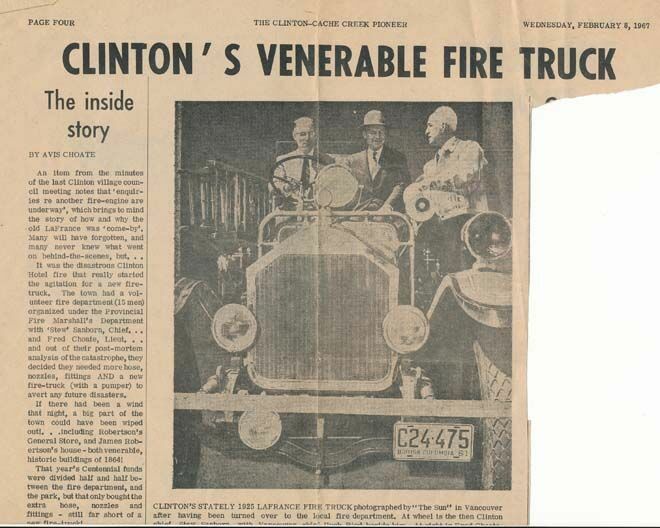 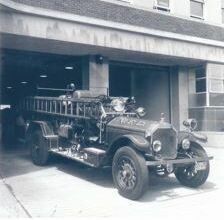 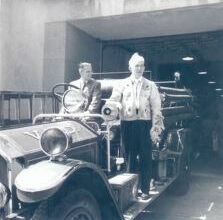 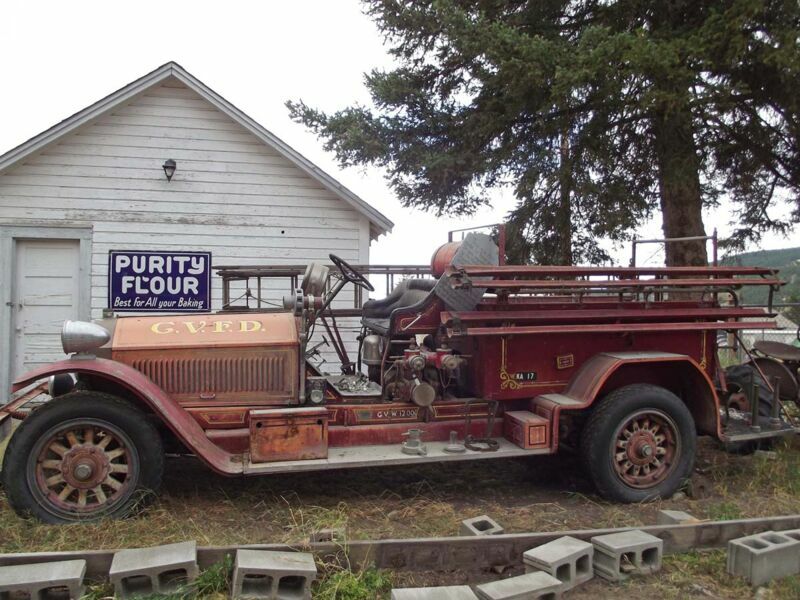 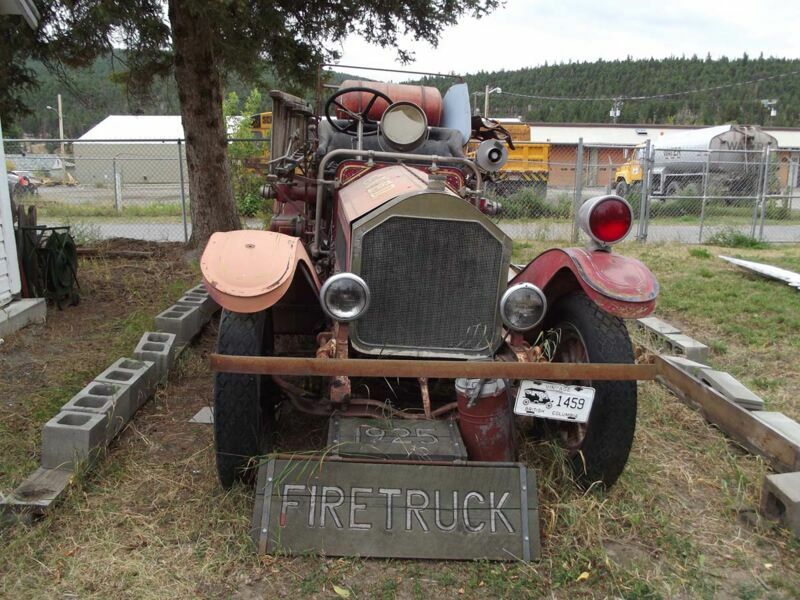 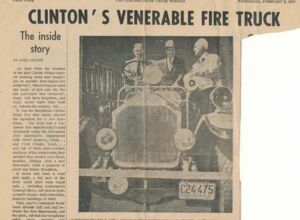 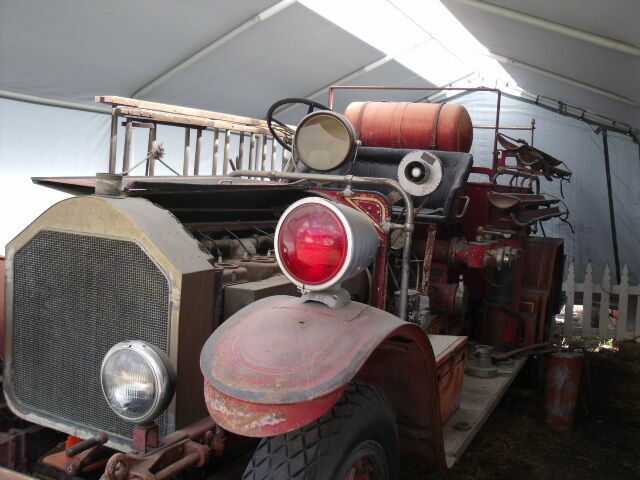 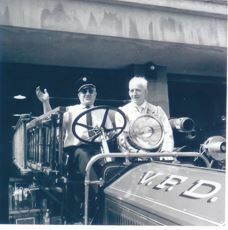 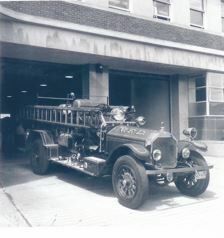 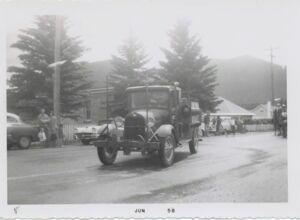 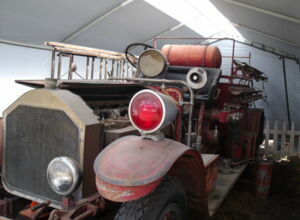 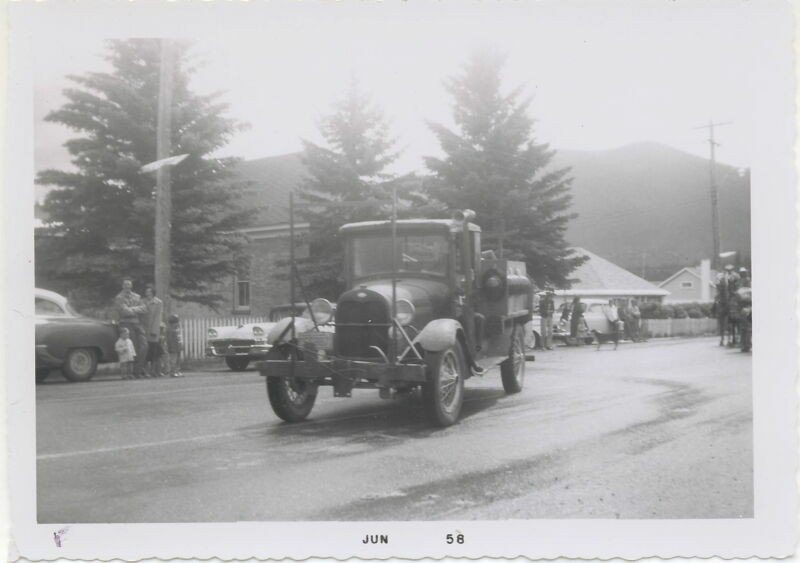 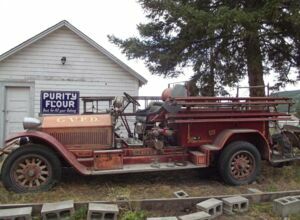 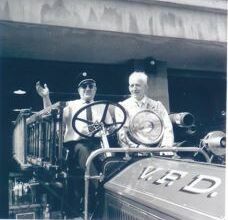 A 1925 model La France pumper, originally used by the Vancouver Fire Department up until the 1950's,was given to Clinton in 1958. 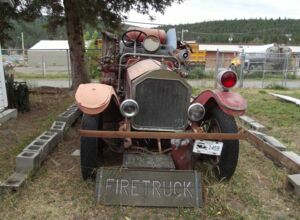 As a fundraising project, $1.00 tickets were sold and the lucky person whose name was drawn was given credit for 'donating' the fire truck to our town. 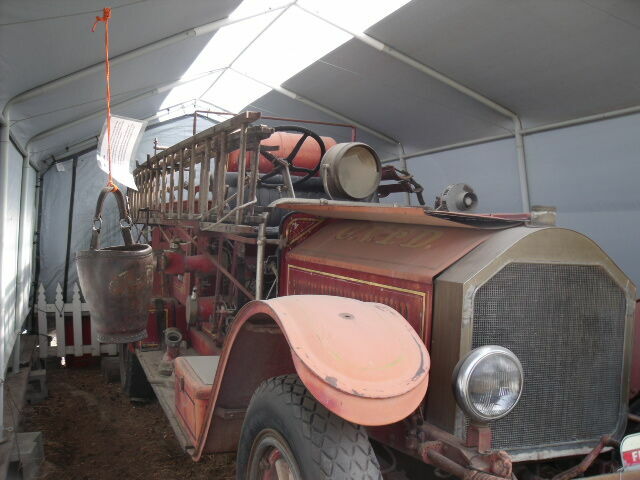 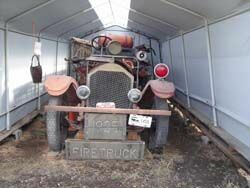 The pumper still has most of its original parts.